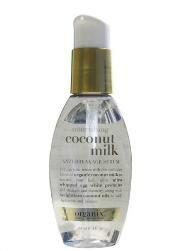 The Organix coconut serum is great for repairing dry hair and making it smell amazing, however I found another use for it – makeup remover! A lot of girls like to use olive oil as an alternative to makeup remover and seeing as this is an oil… it works just as good and it doesn’t smell bad! I don’t have any proven results, but if this is supposed to be good for our hair, won’t it be great for conditioning our eyelashes? I love how my makeup comes off so effortlessly with this! A little goes a long way and if you’re wondering… no, this doesn’t burn your eyes. 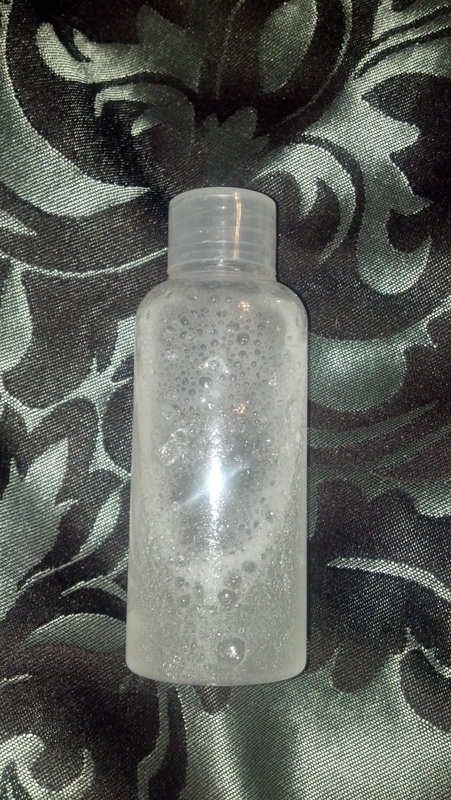 – An old makeup remover bottle or travel size bottle less than 6oz. No matter what the size of your bottle is, pump the Organix serum until it’s 1/4 full. Fill the rest of your bottle with water. The end result might look cloudy, but the oil and water will eventually separate from each other. Like with any makeup remover, always shake up the bottle WELL for at least 5 seconds before use. This is my little bottle after being shaken up :]! This entry was posted in Beauty, DIY, Makeup, Random, Uncategorized and tagged beauty, Coconut Serum, DIY, DIY MAKEUP REMOVER, Do it yourself, makeup, Makeup Remover, Organix.